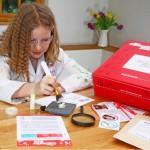 The Jumbo Curiosity Box is like a super cool science club in a box, giving the Curiosity Cadet in your life oodles of activities, delivered each month courtesy of The Curiosity box Ltd. Perfect for 6-11 year olds, and with a new theme each month, the boxes link to the curriculum but are the kind fun, hands-on experiments you wish you had when you were a kid! 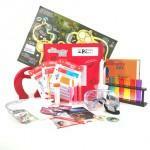 Themes include BANG!, atomic, ultimate survival, seaside science and cells. Be the first person to tell us what you think about The Jumbo box and you'll save £2.50 on your next purchase!